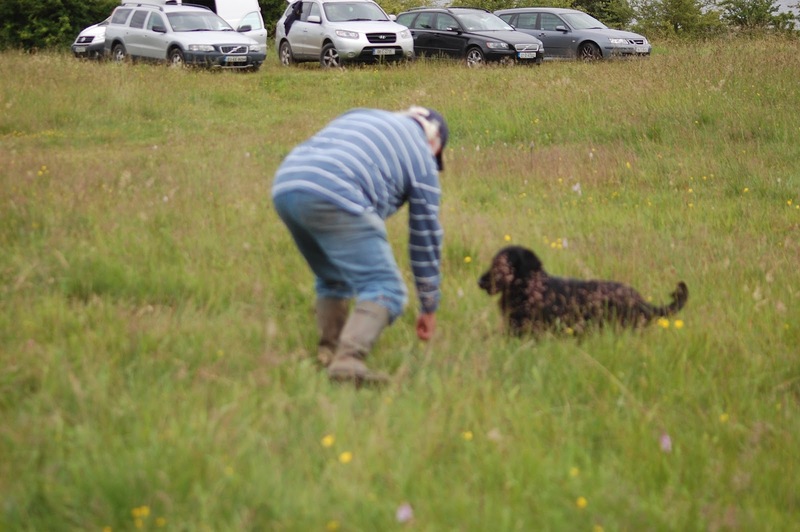 I have known Paul since I became involved in gundogs over a decade ago and I’ve always admired his calm approach when working his dogs. Colum and I have reached a point now where we realise that if we want to progress our dogs we need to improve our handling skills and not just merely rely on luck for the dogs to find the dummy. 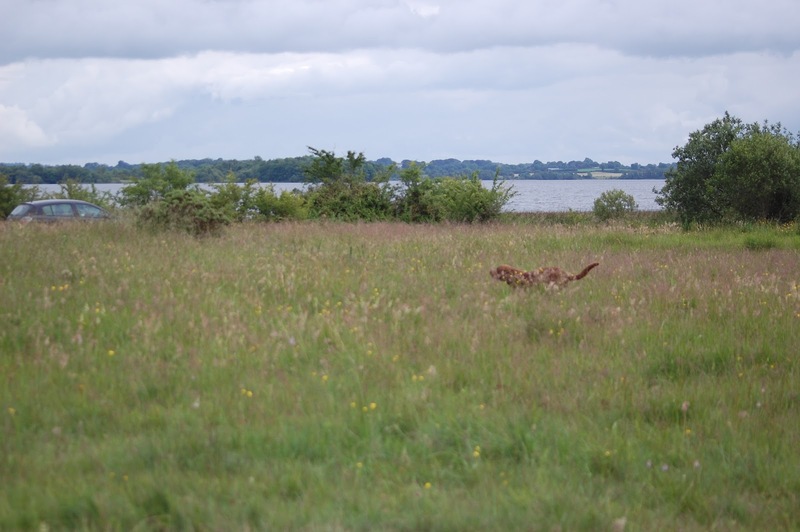 Both of us are aware that we fell short of the standard at the last working test.With that in mind we were able to gather a small group of four and booked Paul for an afternoon of training at Lough Ennell. 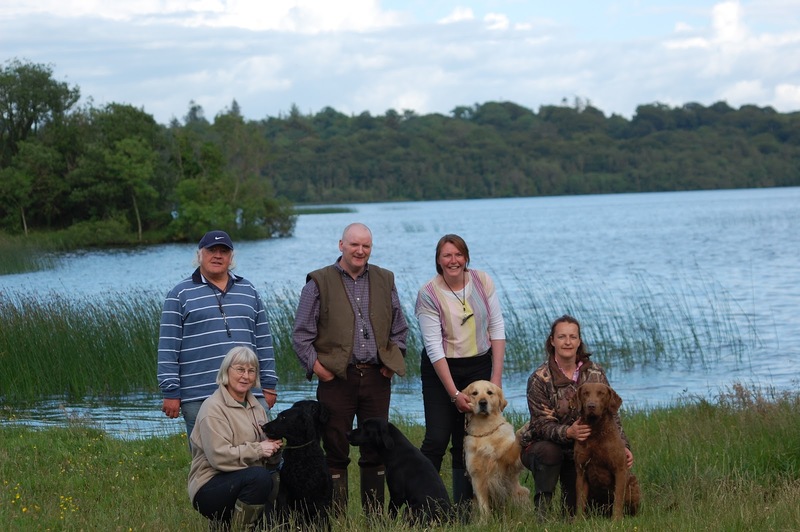 Our group comprised of a flatcoated retriever, a golden retriever, a curly coated retriever and a chesapeake…all working dogs attempting to play the summer gundog games. Paul started the session with the very basics . Tips for tightening up on heelwork and steadiness.These are things I tend to get lazy about preferring to focus on lining and blinds but it’s often the small things that lose the most marks in a working test. The next aspect was most interesting as I subsequently was told the same thing by another trainer last weekend. When teaching the hunt up command I had traditionally just introduced the whistle when the dog put its head down on a marked retrieve and worked it from there. 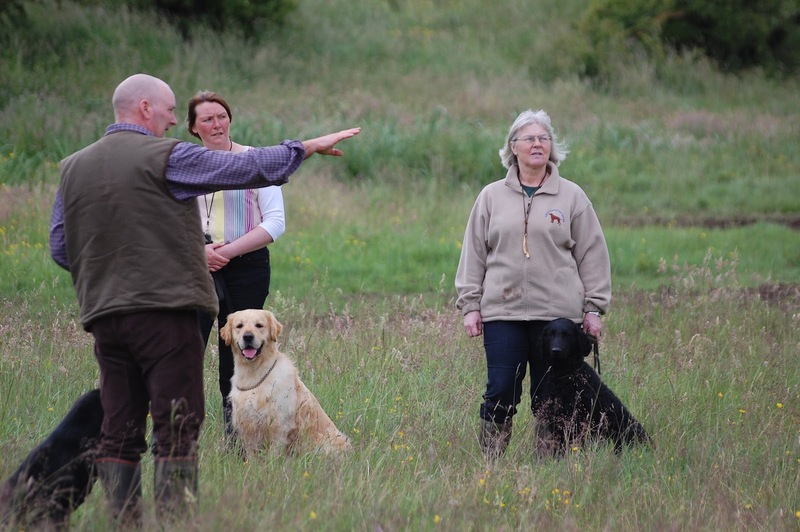 Now retrievers are being taught to hunt up in a quartering style, like a spaniel. It’s much more specific and much more efficient. The real beauty of it is that Bertie loves this game. Already I’m seeing an improvement in his attitude to the whistle as it’s not being used to nag him but to steer him. Moving onto improving marking skills , again he showed us some wonderful ways to encourage our dogs to mark better, to succeed and build confidence. All just little things that can make a huge difference to our dogs. We finished the session with blind work . Again incorrect use of the whistle appeared to be one of our main problems when handling our dogs but something that was so simple to correct. Remembering to use the whistle as an aid rather than a corrector. I think the most important thing I gained from the afternoon was that there is always scope for learning and that retriever training is progressing and moving all the time. Paul has a very open minded and patient approach to his training which works well when dealing with novice handlers and dogs. As he worked with us that afternoon he gave a structure with which we can carry forward to our training sessions in the next few weeks.We will most certainly be calling on him again before the end of the Summer. This entry was tagged Altiquin Labradors, Gundog, training, writing. Bookmark the permalink. ← In praise of the working gundog.